The number of international exhibitors at this year's ITB Berlin will be higher than ever before. More than two-thirds of the exhibitors showcasing their products and services in the 26 halls on the Berlin Exhibition Grounds, which are now fully booked up, are from abroad. The number of international trade visitors (2013: 40 per cent) at this year's show is set to rise significantly too. Overall, 110,000 trade visitors are expected to attend. From 5 to 9 March 2014 ITB Berlin is offering visitors a representative overview of travel products and services from around the world and of growth-intensive niche markets. 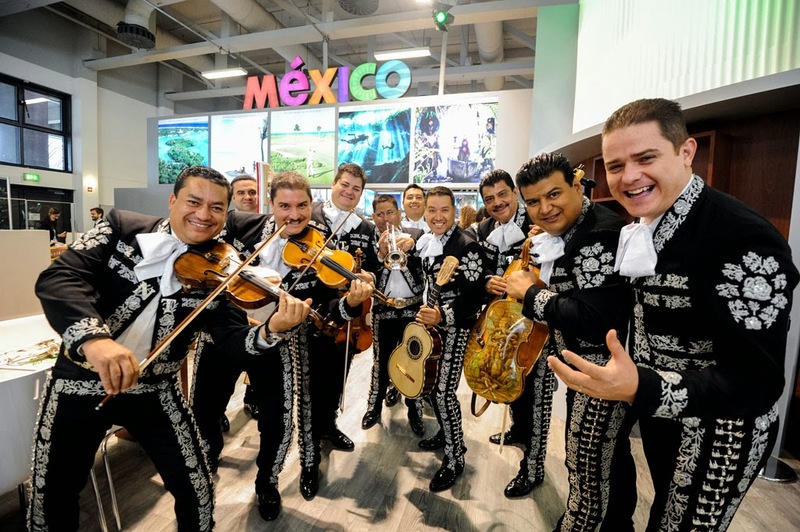 At the 48th edition of the world's largest travel trade show 10,147 tourism companies (2013: 10,086 exhibitors) from 189 countries are represented on a display area covering 160,000 square metres. This year, on the weekend of the show, members of the public will again have an opportunity to purchase travel products directly from exhibitors. 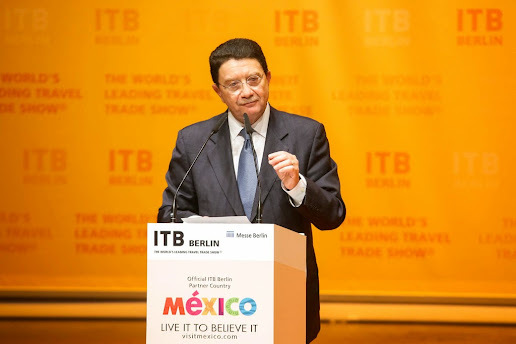 ITB Berlin 2014 will be celebrating the debut of two events. On the Tuesday before the opening of the show the ITB Summit took place, with 600 delegates invited to attend. Among the speakers was Lee McCabe, head of Travel, Facebook, who talked about how omni-channel marketing combines new and established marketing methods. ITB Innovators is a new web platform which provides a compact overview of 100 travel and marketing innovations. From 5 to 7 March these will also be exhibited on a display area in Hall 7.1b. Furthermore, at the ITB Berlin Convention Nils Müller, CEO of TrendONE, will cast his eye into the future and give his prediction on how people will travel in 2025. Once again, ITB Berlin provides senior buyers from the international tourism industry with access to an exclusive business circle which offers them numerous benefits. Around 700 hand-picked senior buyers from the international tourism industry from Europe, Canada, the USA, South America, Australia, Asia and Africa join the exclusive Buyers Circle at ITB Berlin 2014. At 74.6 per cent, two-thirds of the Buyers Circle's members are from Europe and Russia. Over 13 per cent are from Asia, Australia and Oceania. Around 4 per cent each are from North America and the Middle East, as well as 1.4 per cent from South America. 80 per cent will be at the show in a decision-making capacity. The overall purchasing power of the Buyers Circle is equivalent to 1.8 billion euros. More and more companies are exploiting the wide-ranging impact of travel blogs in order to target customers. In response to this trend ITB Berlin will be staging 40 events organised by bloggers for bloggers. Taking place this year for the second time, the ITB Bloggers Speed Dating event provides a platform for hotels and destinations that enables them to meet travel bloggers from around the world. ITB Berlin expects around 300 participants from 15 countries to attend, almost a third more than at last year's event. With its Travel Technology segment ITB Berlin has taken on a pioneering role. Around 170 exhibitors will be showcasing the world's widest range of travel technology products. 30 companies will be making their first appearance at the world's leading travel trade show. They include IATI, Nor1 Inc, Accelya, Gate7 Reservation Systems, Abreu Online, Roomize and Vioma. Most of the companies exhibiting 'traditional' travel technology products, who for more than ten years occupied Hall 6.1, have now moved to Hall 5.1. The eTravel World, which has now moved to Hall 6.1, will feature seminars and workshops on big data, social media and mobile communication trends. For the first time at the show, ITB Berlin and the consultancy Tourismuszukunft will be co-organising tours to guide visitors around Travel Technology. The tours will focus on software for the hotel industry, travel agencies, destinations and tour operators. A Mobile Technology tour will also be on offer. Besides Travel Technology, the Lesbian, Gay, Bisexual and Transgender Travel (LGBT) segment also has enormous growth potential. For many years ITB Berlin has been helping to develop this booming area of the market. Besides numerous LGBT-themed events there will be a Networking Brunch for journalists, a seminar on 'Gay Pride Events', numerous receptions and the popular TomOnTour Party. In 2014 the main attraction will once again be the Gay & Lesbian Travel Pavilion. This year it will be amongst the Caribbean displays in Hall 3.1 and will be featuring a number of first-time exhibitors. Celebrating their first appearance will be companies from Mexico, ITB Berlin's partner country, Majorca, Madrid, as well as Pinkweek.eu from Slovenia. Brazil will also be taking part again. This year the International Gay & Lesbian Travel Association (IGLTA) will again be hosting the largest display. Co-exhibitors will include Florida, Fort Lauderdale, Key West, World Rainbow Hotels (UK), organisers from Tel Aviv, India, as well as Toronto World Pride, Japan and China, a newcomer to the event. Responsible Tourism, Adventure Travel and Youth Travel & Economy Accommodation are also expanding at ITB Berlin. Overall, more than 130 exhibitors from 35 countries will be represented in Hall 4.1. 70 exhibitors will be represented in the segment Adventure Travel & Responsible Tourism alone. Newcomers include Armenia, Georgia, Greenland, New Zealand, Colombia and Jordan. For example, Serconatural from Colombia will be presenting sustainable tourism projects which aim to provide support and protection for this country's natural environment and culture. Detours from Jordan will be offering the experience of living in tents like Bedouins as well as ecologically responsible desert tours. This year the Indian luxury hotel chain CGH Earth has made a conscious decision to exhibit in Hall 4.1 in order to emphasise the importance of socially responsible tourism. The same decision has been taken by other exhibitors who, in addition to hosting their national displays will also be represented in the Adventure Travel & Responsible Tourism segment. India, Asia and the Arab countries are booming travel markets and will be represented at the world's leading travel trade show in unprecedented numbers. Exhibitors from the Arab countries and Africa will be attending the show in similar numbers to 2013. Following an absence, the Comoros, Mayotte, Gibraltar and Djibouti will be back at ITB Berlin. Muriya Tourism Development from Oman is a newcomer to the show from the Arab countries. Dubai will be occupying a larger stand measuring 56 square metres. A waiting list exists for Hall (5.2a), where countries from Southeast Asia and the Pacific are represented. Nepal and Bhutan will require larger display areas. Hall 5.2b, occupied by India, is also booked up. For the first time the three Indian states of Andhra Pradesh, Maharashtra and West Bengal will be represented with their own stand. The exhibitors in the Asia Hall will be more diverse than in previous years, as many hotels and holiday resorts are no longer in the sections of their relevant regions and instead will be hosting their own displays. This trend shows how important ITB Berlin has become for international hotels and resorts. In Hall 26 (Far East and Southeast Asia) more than a dozen exhibitors new to ITB are presenting their products. Exhibitors from Vietnam hosting individual displays have all moved to Hall 26c. The stands have grown by 100 square metres, an increase of 50 per cent, as has the stand of the Philippines in Hall 26a. The ITB Berlin Convention is Europe's largest and most important event in its field. 20,000 international participants will be attending 200 events featuring 400 leading speakers, where they can find out about and discuss trends and forward-looking topics. Once again, this year's programme of events at the ITB Berlin Convention features thought-provoking and up-to-the-minute topics and will be certain to spark lively debate. Loveleen Tandan, co-director of the Oscar-winning film Slumdog Millionaire, will deliver a keynote speech on 'Slums, war zones and extreme regions: development potential and tourism destinations'. Christine Duffy, president & CEO of Cruise Lines International Association (CLIA), will be showing how destinations can benefit from the booming cruise market. Bernhard Bohnenberger, president of Six Senses Hotels Resorts & Spas, will be talking about luxury travel and sustainable tourism in the hotel industry. The award-winning travel writer Doug Lansky will be talking about 'How to fix overcrowded destinations and attractions with new intelligent visitor management technologies'. The members of the Airline CEO Panel, among them Alex Cruz, CEO of Vueling, will be discussing how low-cost carriers have changed the leisure industry. Jean-Claude Biver, president of the administrative board of Hublot, will be offering fascinating insights into an entirely different sector, taking a look at established luxury markets and showing how the travel industry can learn from them. The ITB Berlin Convention will have information on the key topic of luxury travel at the Africa Forum, which will discuss 'The prospects for luxury tourism in Africa'. At the ITB Hospitality Day the CEO Panel will also devote time to this subject and the ITB Asia Panel will be discussing 'Exclusively Luxury Travel – The Asia Definition'. At the ITB Berlin Convention the focus will be on Asia as a source market of the future. Experts will be providing valuable advice and practical tips for tourism professionals on how to best tap into the market presented by Asian guests. Once again, the topic of socially responsible tourism will be a key theme at the world's leading travel trade show. On 7 March the ITB CSR Day at the ITB Berlin Convention will be setting the tone. The leading think tank of the international travel industry will be focusing on the latest strategies, examples of best practices and the market prospects for sustainable tourism. At the ITB Berlin Convention practical experts and leading scientists will be discussing and providing information on the latest developments. A discussion round with Tom Koenigs, a member of the German Bundestag and chairman of the Committee on Human Rights and Humanitarian Aid, will be debating 'Problems, causes and practical recommendations' in connection with human rights. For the first time a management concept has been laid out that advises tour operators on how to address the issue of human rights. A new guide will provide companies with practical tips to assist its implementation. Furthermore, at the ITB CSR Day ITB Berlin will sign an agreement committing to support human rights in tourism.